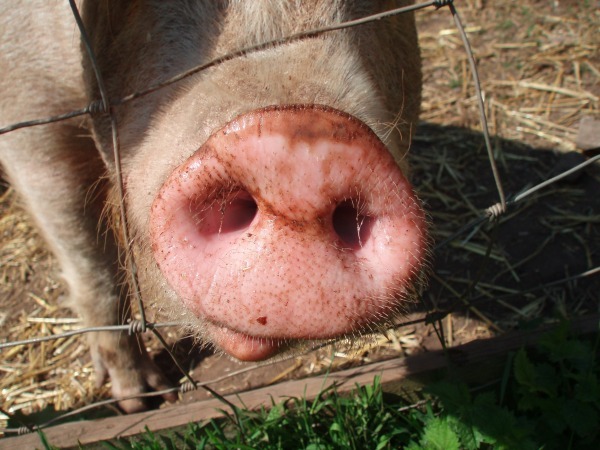 Windmill Hill City Farm will be serving up a hog roast at the Farm’s annual Spring Festival using Gloucester Old Spot pigs raised at the farm. You can’t get more locally sourced than that! The farm’s café, who will be running the hog roast and barbecue, use the produce from the farm on a daily basis and actively promote the importance of using locally sourced, seasonal food. Steve Sayers, the farms Chief Exec, said “Part of the farm’s ethos is to educate people about the production of their food. Using our own pigs on the hog roast and barbeque is a great way of showcasing this area of the farm”. The one-day event is a community festival for the city’s people, with bands, musicians, market stalls, food areas, children’s workshops and craftspeople coming together from across Bristol to create a warm, community event at the beginning of the summer. The festival runs from 12-7pm on Saturday 26th May and costs £5 for adults and is free for under 16’s.